The founder and chief executive of OnePlus, Pete Lau has just officially announced in a recent tweet that the company's two latest smartphones which are the OnePlus 3 and OnePlus 3T will both be receiving the Android O update. Let's not also forget that the company is already planning on releasing it's next flagship which is the OnePlus 5. For those who might be curious as to why there is no OnePlus 4, OnePlus is actually from China where the no 4 is believed to be a negative number, so they decided to skip the 4 and move to 5. Base on reports, the upcoming OnePlus 5 will be powered by Qualcomm's latest Snapdragon 835 chipset. The camera quality is also expected to receive a great improvement as OnePlus is partnering with DxOMark for a dual camera on the OnePlus 5. Although the OnePlus 5 is rumoured to ship with android 7 Nougat out of the box, it's most likely going to receive the Android O update later​ this year or early next year. 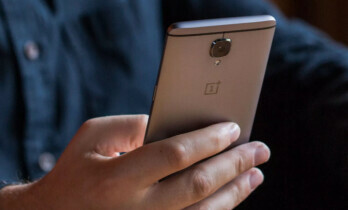 If you happen to be a OnePlus 3 or OnePlus 3T user then count yourself lucky as older OnePlus phones like the OnePlus 2 and OnePlus X weren't this lucky with updates.